When it comes to working out, sometimes the best thing to do is purchase machines that you can use in the comfort of your own home. While gyms are great, they are usually filled with other people. This makes it hard to have the ability to do what you want, when you want to. If there are a limited number of machines, chances are you will have to wait your turn once in a while. A useful machine that can be used in your home is a leg curl machine. There are a few reasons why a machine like this would be a good investment. First of all, legs are some of the biggest muscles in the body. Not only does skipping leg day make your legs look disproportional to your body, it is also going to cause you to miss out on a lot of possible muscle. The more muscle that you have in your body, the higher your metabolism will be. This is great for fat burning. The moral of the story is that you should not go without working out your legs. Instead of hitting the gym on leg day like everyone else, consider doing your workout in your own home. For those occasions where time is against you, or you can’t get out to the gym (no babysitter, under the weather) using leg curl machines at home can take the pain out of missing the gym. We take a look at the ten best leg curl machines below. 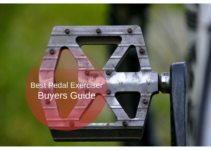 The BodyCraft Xpress Pro Home Gym is a great option for an at-home leg curling machine. The machine itself has a few features which will catch the eye of customers. If you are someone who is serious about getting a workout at home, this is for you. 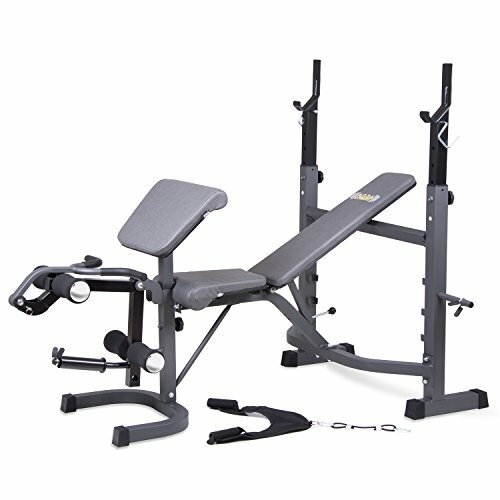 The BodyCraft Xpress Pro Home Gym is highly sophisticated yet simple to use. Not only does it have a station for working out your legs, there is also a cable to bench press. The adjustable seat makes it great for use by people of varying size. Weighing about 600 pounds, this machine is going to require a bit of effort to get situated. Although it is going to have a ton of amazing features, you will definitely have to pay for them. This machine is quite pricey in regard to some of the other machines we will review. All in all, it is a viable option for experts. The Marcy Adjustable 6 Position Utility Bench with Leg Developer and High Density Foam Padding is another great leg curl machine on the market. Weighing only about 50 pounds, this machine is much smaller and more compact than the first one we reviewed. With that being said, it is definitely going to offer high-quality parts and materials. 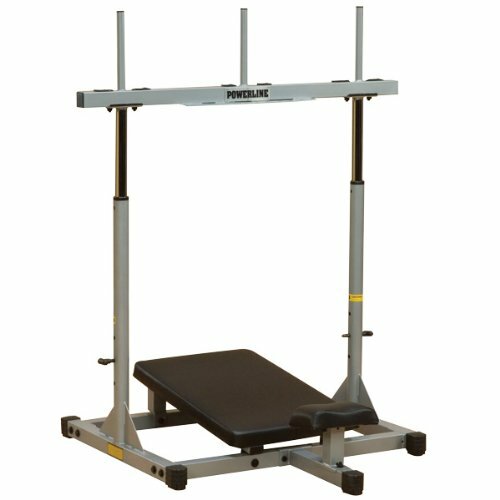 This machine is essentially a regular bench with a leg lifting attachment on it. The leg curl section of the machine is going to be comfortable as it is padded with high-quality parts. Marcy is also a very trustable brand as far as the fitness industry is concerned. If you are looking for something simple and inexpensive, this is a good option for you. 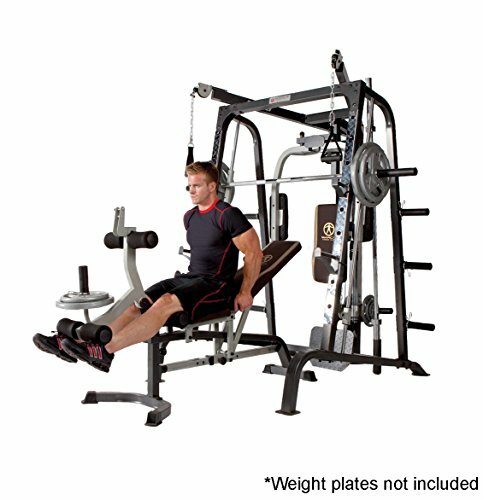 While you are going to be able to get a burn, you won’t be able to load a ton of weight onto this leg curl machine. 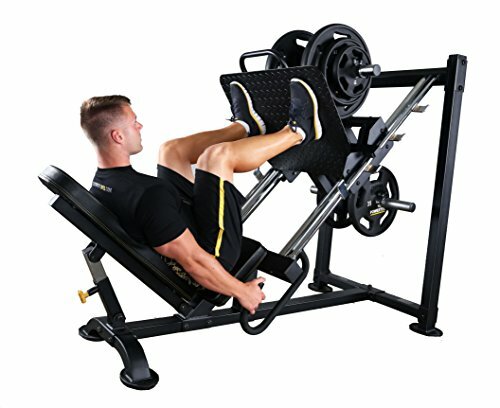 The Golds Gym Weight Workout Bench is another simple yet effective option for those looking for a leg curl machine to have in their home. The first thing to note is the fact that Golds Gym is one of the most infamous names in the industry of fitness equipment. With that being said, one can assume that they will be getting the latest and greatest quality. Another aspect to note is that this bench is rather inexpensive. Like the last machine covered, this too is simply an adjustable bench with a leg curl section attached. Not only can you curl your legs, you can also do bicep curls because there is an attachment for that too. With a 600-pound weight capacity (including the user) this machine is going to allow you to load up quite a bit of weight. You should be able to achieve a rigorous workout with this machine. The Body-Solid GCEC340 Cam Series Leg Ext Curl Machine is a little different than the other machines we have discussed thus far. The reason being, this machine is designed solely for leg curls. Customers will be glad to hear that not only can they work out their quads by performing leg extensions, they can also work out their hamstrings by performing hamstring curls. This machine falls into the medium range as far as price goes. Weighing only 30 pounds out of the box, this machine isn’t too difficult to set up and place. Although Body-Solid is a less reputable brand, their products are often found to be created using high quality, sturdy materials. Also, the product comes free with a lifetime warranty. This company trusts that you will like their product and that it will do what it is supposed to do. 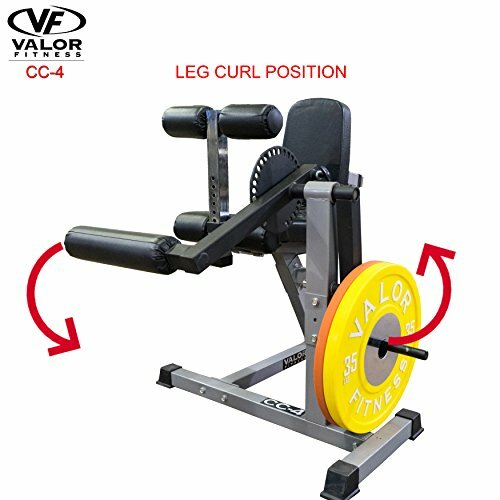 The Valor Fitness CC-4 Adjustable Leg Curl Machine is very similar to the last machine we reviewed. While they are similar in look, there are a few differences between the two. First of all, the Valor Fitness CC-4 Adjustable Leg Curl Machine weighs around 100 pounds. Obviously, a consumer who is going to want to move their equipment around a lot is going to have to consider how much it weighs. Another difference between the two machines is that this machine is not quite as high-class as the last one. Obviously, making high-quality gym equipment is more expensive than making low-quality pieces. Not to say that this is bad quality, just more of a basic model. But another thing to consider is whether or not it will get a ton of use. While machines at the gym have to be high quality so they don’t break, machines in your home aren’t going to get used as much. 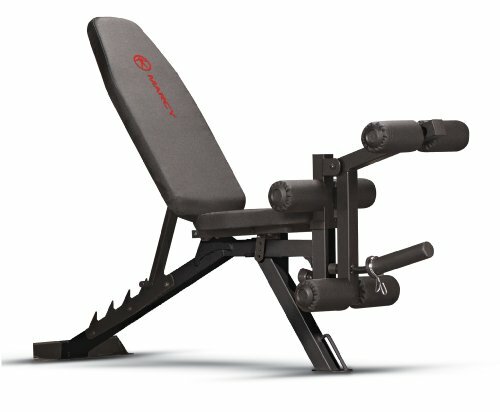 The Powerline PSC43X Seated Calf Machine is not technically a leg curl machine. However, it is a calf machine. The calves are very important muscles just as the rest of the muscles in the legs are. A calf machine is great for athletes or runners who want to tone the bottom section of their legs. This machine is made out of steel and comes with a ten-year warranty. It harnesses a 3:1 weight ratio as far as user weight to weight on the machine goes. It is suitable for any sized user and will adjust to fit accordingly. The platform which you will rest your feet on is angled and lined with anti-slip material. Although the machine itself is not going to cost a fortune, consumers should consider whether or not they are going to want to buy weights to use as they are not included. Another very high-quality leg machine that we will review is the Powerline PVLP156X Vertical Leg Press. This machine is a bit different than the others we have talked about and has its own unique features. First of all, one will notice that they have to lay on their back and simply push the weight up using their legs. The machine has metal parts where weights will be added in order to challenge the muscles in the legs. Being made out of steel and having a 400-pound weight capacity, one should easily be able to get a good workout. 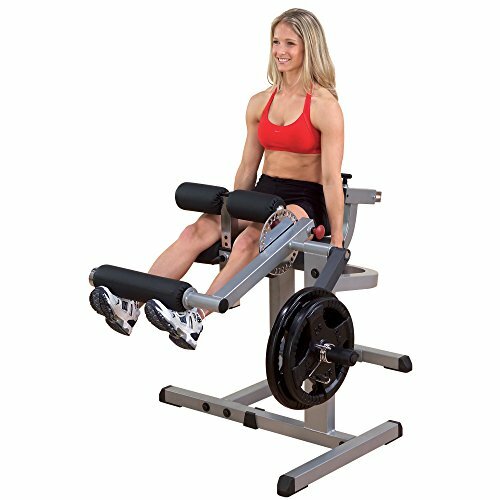 The Powerline PVLP156X Vertical Leg Press has adjustable locking pins making it easy for use. In the box, this machine will weight around 100 pounds. While this is not a leg curl machine, it is still going to work the glutes and the hamstrings like any other leg curl machine would do. The Powertec Fitness Leg Press is another leg machine that is going to provide you with any kind of intensity of a workout that you want. Similarly to the machine reviewed previously, this machine uses gravity to challenge your legs. However, this machine puts the weight at an angle rather than you being required to push the weight straight up. This is the type of high-quality machine that one would find at a lot of gyms. If you are looking for a good machine to add to your home gym, this is definitely a viable option. With this being a big and complex piece, it is going to cost a bit more than some of the smaller ones we talked about. This piece is great for those who are already familiar with working out and who have been doing so for a while. 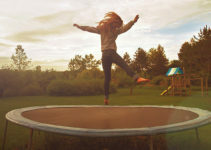 The machine is capable of holding over 1,000 pounds so one can assume that it is meant for people on the stronger side. 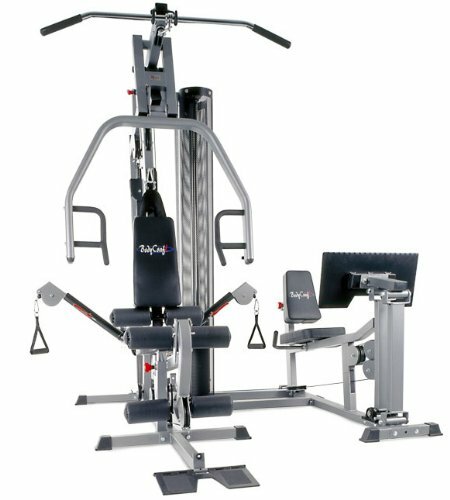 The Marcy Smith Cage Workout Machine Total Body Training Home Gym System with Linear Bearing MD-9010G is a complex setup, to say the least. This is one of those all-around machines for those who want to get a full body workout in the comfort of their home. This machine comes with everything you need to get a workout. 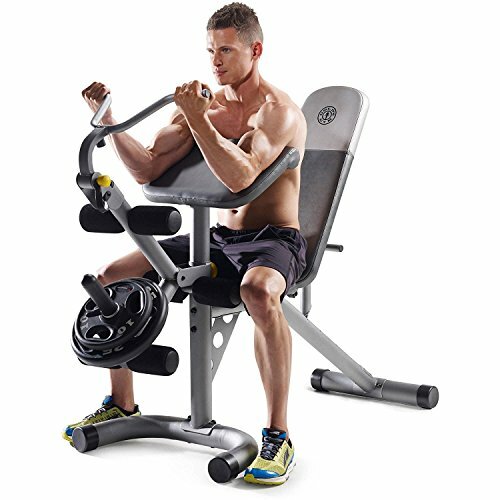 Not only will you have a leg curl station, you will also have a ton more features ranging from bench pressing to bicep curling. While this is the most complex machine on the list and will have the most features, it is surprisingly not the most expensive. With that being said, it isn’t cheap. If you are looking for a simple leg curl machine and that is it, this is not a good pick for you. 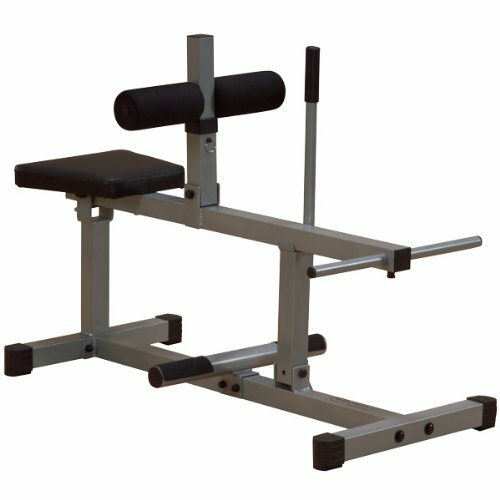 The Body Champ BCB5860 Olympic Weight Bench with Preacher Curl, Leg Developer and Crunch Handle machine is a simple, cost-effective leg curl machine for beginners. It is essentially a bench press with a let curl station added on. All in all, it makes for the perfect little at home workout machine. Surprisingly, it is made from high-quality material even though it is one of the least expensive things we reviewed on this list. Some consumers would be happy to find that it holds standard Olympic sized bars and weights. This machine is going to allow you to do bicep workouts, chest workouts, and leg workouts. If you are someone who wants to get a workout of light intensity in your home, this is going to allow you to do so. It is not too expensive or complex, but it is enough to the point where you would be satisfied using it.